Celebrate the weekend in style! 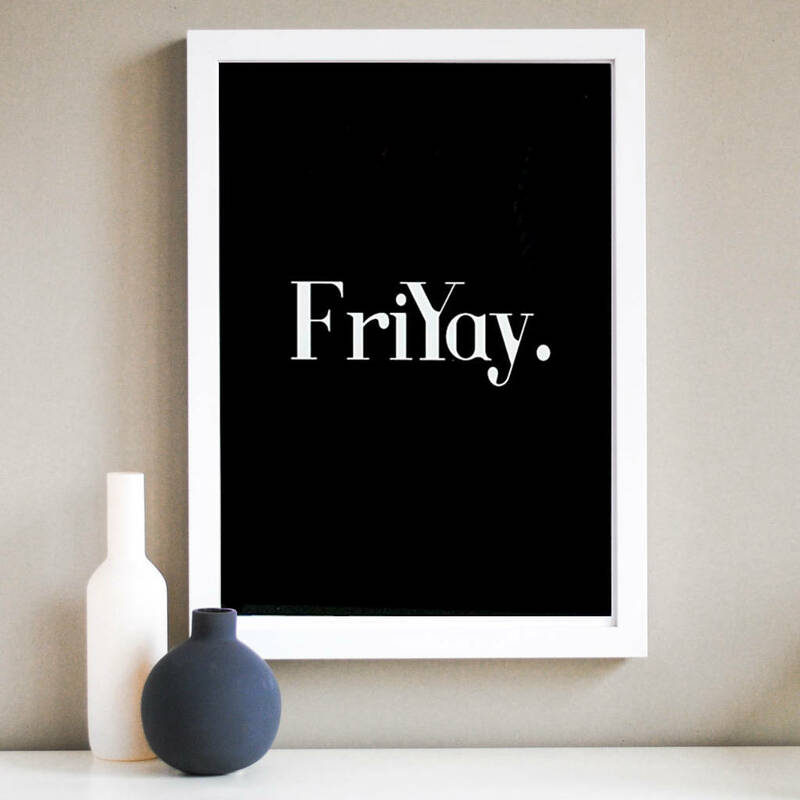 Our fun personalised typographical Quote Print is a perfect addition to any home. You can now personalise this print with any quote , name or date you desire! With it's bold design this monochrome print is a simple way to style your home. A great gift for him! Why not opt to have your print gift wrapped? Making your life a little easier. 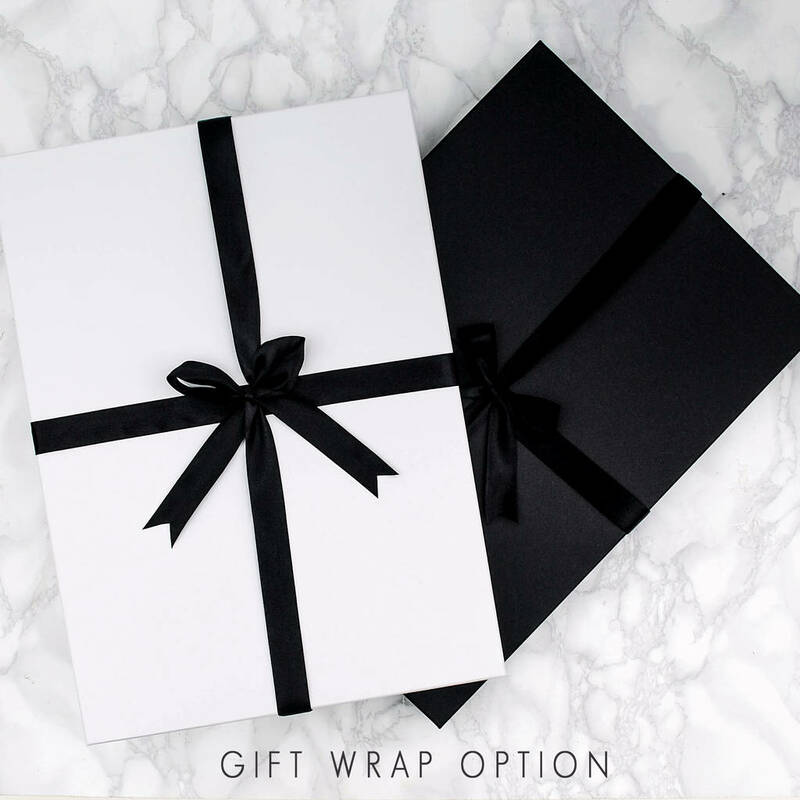 Our Gift wrap includes a beautiful black gift box tied with luxurious satin ribbon. 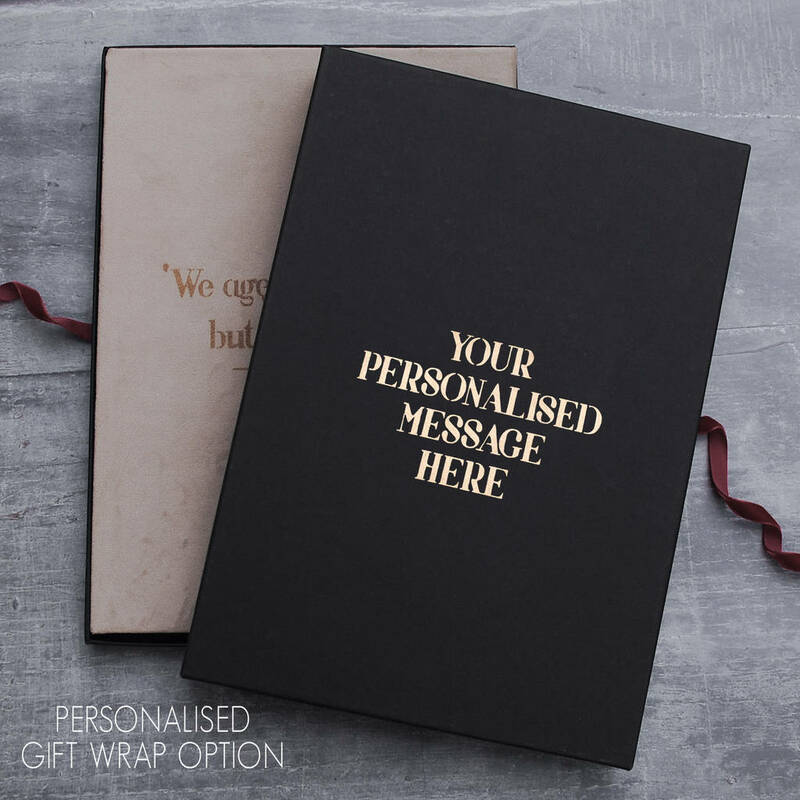 You can choose to have your gift box personalised with a festive message! Where a product is personalised we print exactly what you send so any typos, misspellings, bad grammar or mistakes should be checked and amended before completing your order. The is a maximum charecter allowance of 20, if you have any special requests or any queries please do not hesitate to get in touch! Digitally printed with high quality dye based inks on premium 260 GSM white photographic paper. This print is available in A4 or A3.